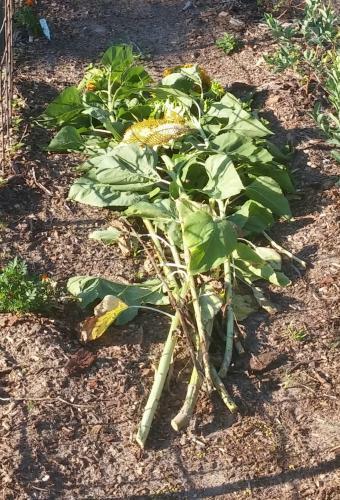 The wind storm that passed through on Wednesday night left some damage, but I've been able to salvage most of the sunflowers. 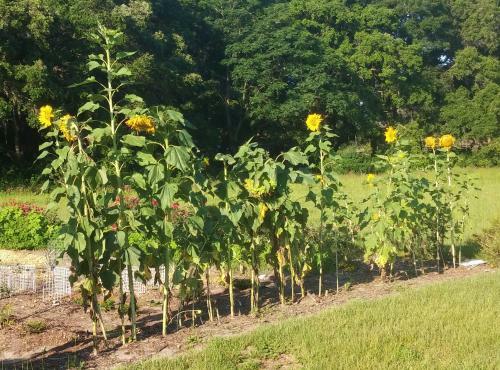 Here are the sunflowers that were too far gone to save. Don't worry though, the chickens will enjoy the seeds. I'm most excited about this guy. 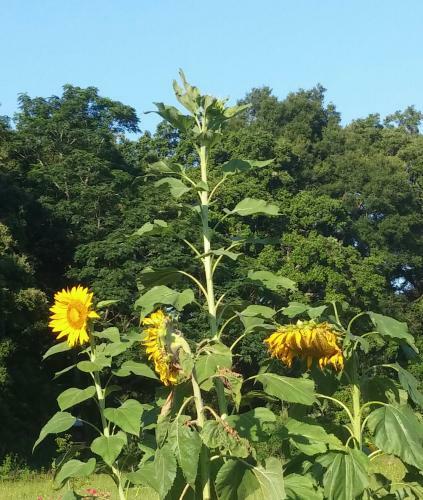 One lone sunflower has shot way above the others, reaching over ten feet high. Nice save! Can't tell from these photos that the windstorm did much damage..
Woah how did the 10 foot guy survive the wind!? Thanks Henry. 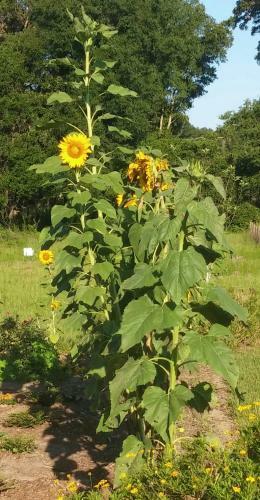 Good idea to save seeds from the tall one. 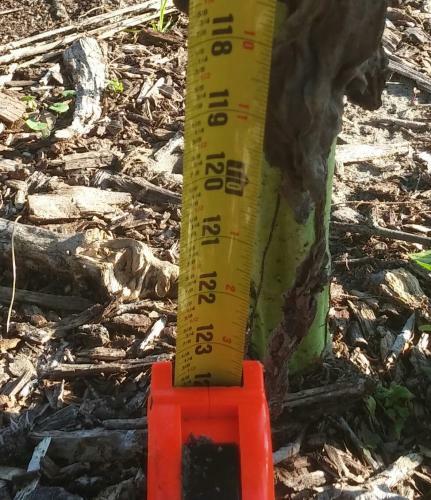 I don't think it was that tall when the wind blew through Frank. I'll have to look at the pics again.